Texaco Signs for SALE many with FREE Shipping. Order online anytime! Huge variety of vintage, new and preowned Texaco toy trucks and vintage collectibles. 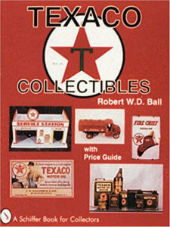 Lowest Prices on new and discontiuned Texaco collectables, Texaco Danbury Mint, Texaco Ertl, Texaco First Gear, Texaco Franklin Mint, Texaco Greenlight, Texaco Johnny Lightning, Texaco Matchbox, Texaco Cast Iron, Texaco Diecast, Buddy L Texaco Tank Truck, 1919 Texaco GMC Tanker Truck Diecast Metal Bank, Texaco Pumper Truck, Diecast 1956 Ford Texaco Pickup Truck, and Greenlight 1953 Ford F-100 Pickup Texaco Truck. items. These wonderful and hard to find toys will be delivered to your doorstep! Discover the World's Largest Texaco Collection. 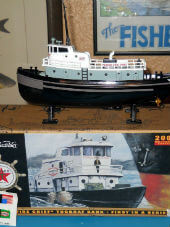 Enjoy collecting Texaco toy tanker trucks, Texaco truck banks, Texaco toys and Texaco antiques. Shop from home and SAVE.